Posted July 3, 2018 by Diane & filed under My Books, On Scotland. Scotland, and Edinburgh and the Borders in particular, are places very close to my heart. Early this summer, I made my third trip in my adult life. As usual, it was a part-research trip and part-family vacation. 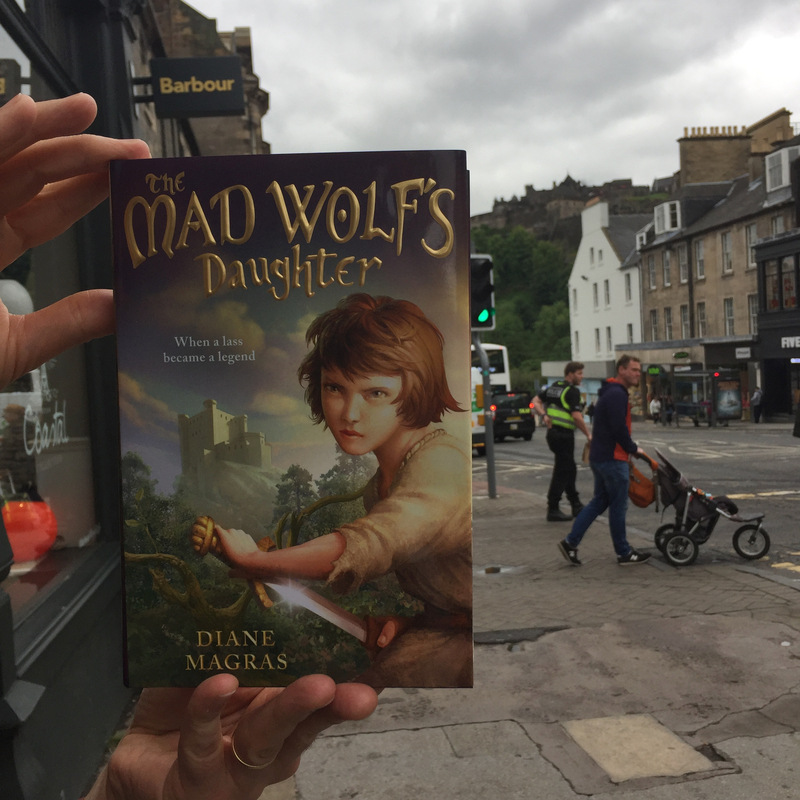 Because The Mad Wolf’s Daughter is in print, I took along a copy with the idea to pose it at various sites (I ended up posing it at a lot of sites!). So here’s what Drest (illustrated on my book’s cover by Antonio Javier Caparo) and my family did. Here we are on Frederick Street in Edinburgh, the day we arrived. We’re jet-lagged and tired, but walking helps. If you look in the top right corner of this picture, you’ll see a castle. This is Drest’s first of many sights of the iconic Edinburgh Castle, which looms over the city on a crag of volcanic rock. A defensive settlement has been on that site for more than 3,000 years, making its presence obvious no matter where you stand. This particular castle is part of the UNESCO World Site of the Old and New Towns of Edinburgh. 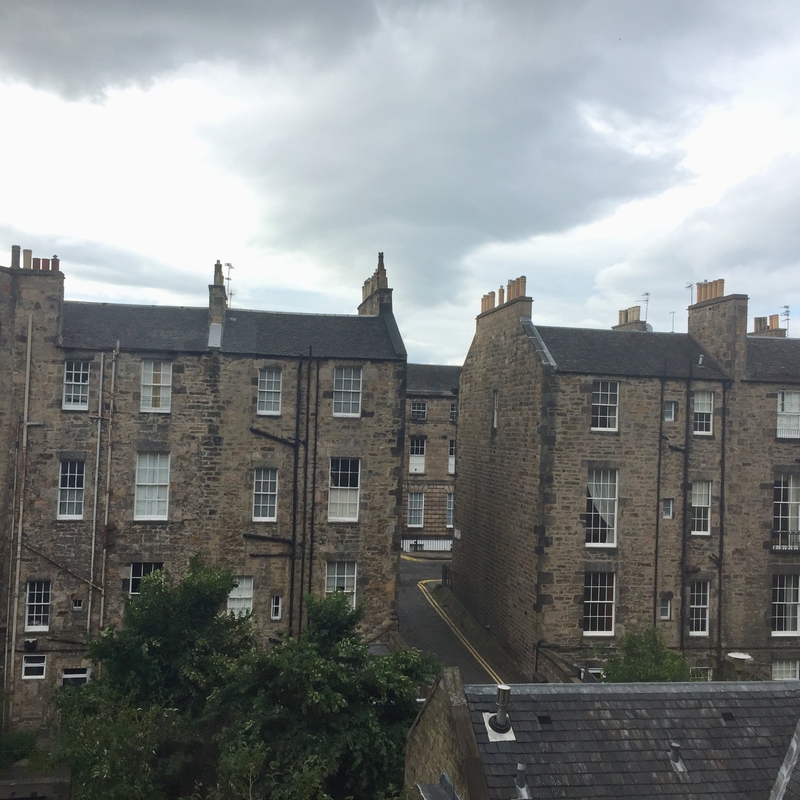 More on this beauty later, but for the moment, here’s my beloved Edinburgh. And here’s a bit of porridge and tea. As I said, on this day, we were exhausted. 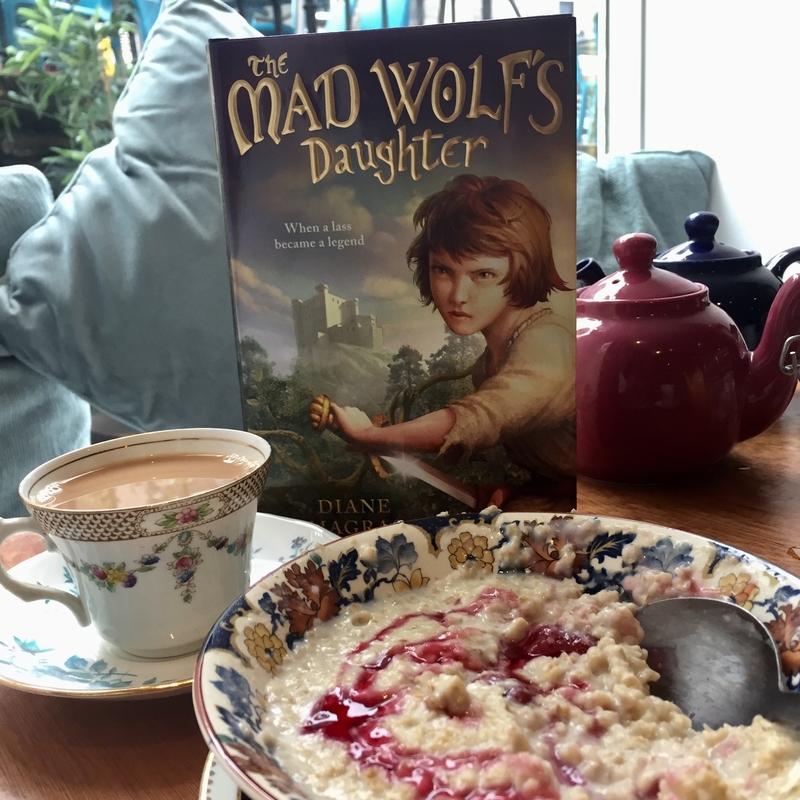 This was my late breakfast, and of course I wanted my wee lass to join me. So, Edinburgh to start. I’ll have more pictures in another post. I hope you enjoyed this one. This is wonderful, Diane! How are you? I’m doing well, though I miss Scotland, now that we’re back! Most posts will be going up with more pics when I have more time. I hope you and G. (not sure if you’d like her anonymous here) are enjoying the start of summer!